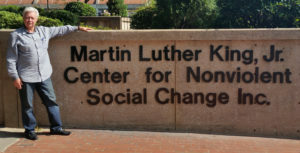 WOF @ MLK Center & 2017 Rotary Peace Conf. 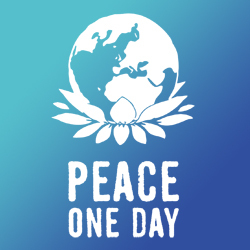 On September 21 Peace Day, an annual day of global ceasefire and non-violence on the UN International Day of Peace, will be commemorated by events around the world sponsored by Peace One Day, an organization founded by English actor and filmmaker Jeremy Gilley. His tireless efforts, in 2001, resulted in a General Assembly resolution unanimously adopted by UN member states to establish Peace Day. Despite events being planned worldwide, there was not a 2017 Peace Day for one of the biggest cities in the world, Los Angeles. 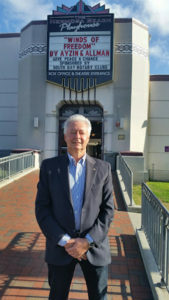 That is until two-weeks ago, when a combination of factors resulted in the Rotary Clubs of South Bay sponsoring Peace Day LA at the Hermosa Beach Community Theater with the Winds of Freedom Symphonic Multimedia Presentation, created by Alex Azyin, as the main attraction. 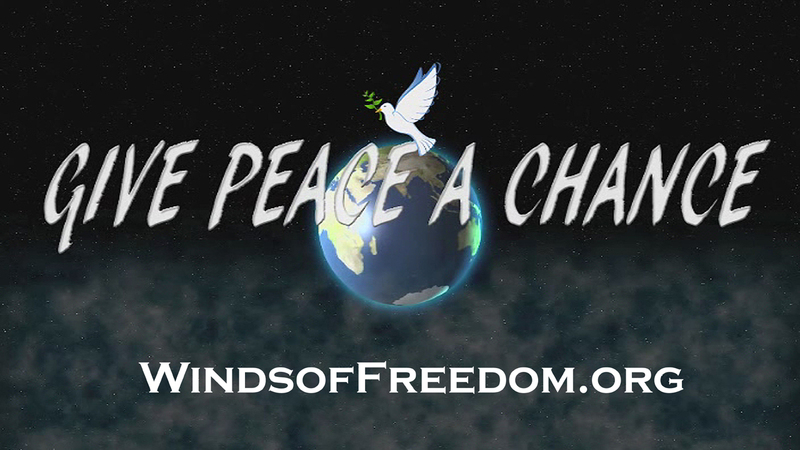 The Winds of Freedom Foundation, also created by Ayzin, is dedicated to bringing this unique production to audiences around the world in an effort to encourage peace movements. However, that is only half the story. 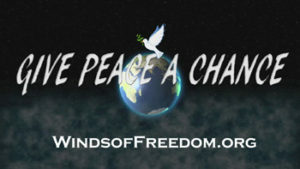 The Winds of Freedom Foundation had contacted Peace One Day months earlier to get their blessing to use the Winds of Freedom Symphonic Multimedia Presentation as an anchor for a Los Angeles Peace Day, an idea they readily agreed to after reviewing the origins and parameters of this outstanding work of high-art. 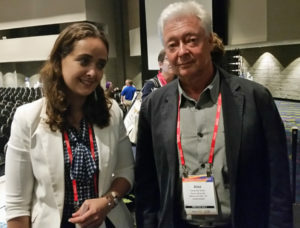 During this time, in conjunction Pete Allman, Director of Communications for the Foundation, Ayzin began to cultivate contacts in Los Angeles Rotary Clubs and then, in June, with WOF tech-advisor Dennis Mathews, he attended the 2017 Rotary International Presidential Peace Conference in Atlanta. This yielded contacts which proved invaluable to Pete Allman, who has been working with Azyin for years on Winds of Freedom, as he burned up the phone lines working every possible angle to get Rotary excited about the Peace Day/Winds of Freedom combination. 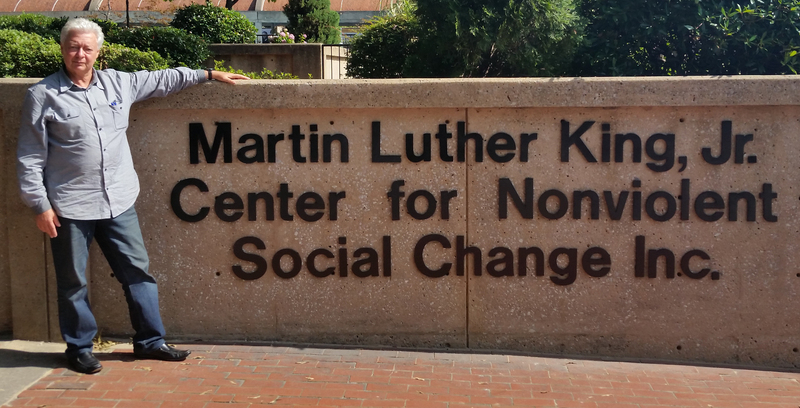 He hit pay dirt with the fantastic group in South Bay, who ran with the baton and made Peace Day LA a reality. 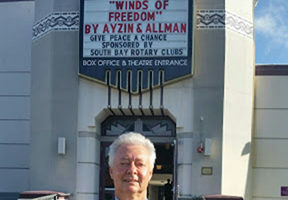 Alex Ayzin freely states that Pete Allman was key to breaking the doors down and is extremely grateful to Rotary Clubs of South Bay for making Winds of Freedom the primary attraction for Peace Day Los Angeles on September 21, 2017 at 6:30 pm at the 450-seat Hermosa Beach Community Theater. 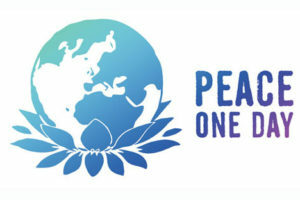 Peace One Day officials in London are pleased to have an event in Los Angeles and have been promoting it through their social media platforms. It is hoped that Peace One Day, Rotary Clubs of South Bay and the Winds of Freedom Foundation can continue with a 2018 Peace Day LA that has an expanded program in a larger venue. 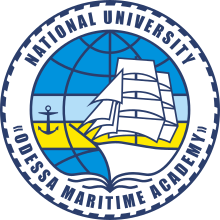 When Alex Ayzin was in training to be a Soviet Naval Officer, at the Odessa Higher Engineering Marine School, it was impossible to know he would soon escape West, with his whole family, and later become an advocate for peace based on a full-length symphony he would commission and later transform into a multimedia event with video and still images. But that is what happened and now, having made connections with Rotary Club officials in Los Angeles and at the 2017 Rotary Presidential Peace Conference in Atlanta, his Winds of Freedom Symphonic Multimedia Presentation will be the main event at the only September 21 Peace Day event in Southern California. Having received the blessing of Peace One Day, a UN mandated organization which founded the Peace Day movement in 1999, the other piece of the puzzle fell into place when Rotary Clubs of South Bay stepped-up and secured the terrific 450-seat Hermosa Beach Community Theater to show Winds of Freedom. A free-event open to the public, the proceedings will commence at 6:30 pm, Winds of Freedom will be shown at 7:30 and a Q & A will follow afterwards. Rotary International has a long history of peace activism and their participation was a blessing for the Winds of Freedom Foundation in their efforts to bring this unique production to audiences around the world. “We are excited to be involved with Peace One Day and Winds of Freedom in creating Peace Day LA, it kind of came of nowhere for our group in the South Bay, but, I mean, things are getting a bit crazy out there and Winds of Freedom reminds us all that peace is better than war. 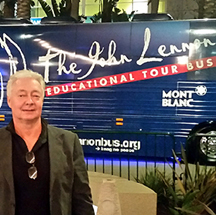 Alex created something amazingly wonderful, seriously, who in this world commissions their own symphony for peace and turns into a movie, nobody else I ever met,” says Jody Leventhal, Rotary District 5280 Assistant Governor and Peace Chair for Hermosa Beach. This whole process began when the Challenger exploded in January 1986. Growing up in the Soviet Union all the kids idolized the first man in space, the famed pilot Yuri Gagarin, and Alex Ayzin was no different. He really took the Challenger tragedy to heart, in fact it brought him to tears; this started his association with the classically trained Russian pianist and composer, Emilian Sichkin, which lasted five years during which Concerto for Astronauts and Winds of Freedom were created, the latter a response to the Chernobyl nuclear plant meltdown and subsequent events leading to the final dissolution of the Soviet Union which brought the Cold War to an end. Like all creative processes, this one was fraught with difficulties. Azyin would craft out story boards for Sichkin to create music from, then they would test, rewrite story boards, test again; five years of mind-bending work, toil and heartache finally resulted in two amazing pieces of music. Sichkin was encouraged by Azyin to embrace the new synthesizer technology but proved a reluctant adherent, however, he eventually, after much berating, did incorporate it into the music. Sichkin was trained in the best Russian conservatories and his views were decidedly traditional. The combination of the Peace One Day and Rotary Clubs of South Bay brings one relatively new and one long-established organization together, respectively, in a major city where this will be the only Peace Day event. In addition, they will be featuring a rather unique strand in the annals of peace activism; a private citizen commissions a major symphony from a classical Russian composer, that decades later, thanks to the technology of the time, has the power to change the world. Peace One Day, a UN mandated organization which founded the Peace Day movement in 1999, will have an event this year in Los Angeles courtesy of the Rotary Clubs of South Bay as they present a screening of the Winds of Freedom Symphonic Multimedia Presentation, created by Alex Ayzin who also founded the Winds of Freedom Foundation. Peace Day LA will be held at the Hermosa Beach Community Theater on September 21 at 6:30 pm and feature a multimedia event which celebrates life, teaches history, inspires peace and hopes for a brighter future. 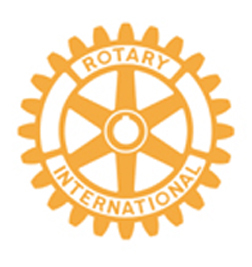 Rotary Clubs of South Bay is to be commended for their diligent efforts, in conjunction with WOF Dir. of Communications Pete Allman, in securing this fine facility for the only Peace Day event to be held in Los Angeles. “Peace One Day has been behind our efforts to create Peace Day LA, but if it wasn’t for our friends in Rotary this event wouldn’t have happened. 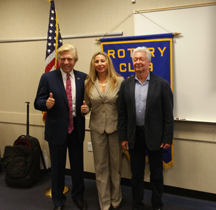 Rotary has a long history of peace activism and the South Bay group went out on a limb for us, I can’t thank them enough, we believe this association with Rotary will create the basis for annual Peace Day LA events with all kinds of activities,” says Alex Ayzin. From the moment of conception, Ayzin always viewed this project as a “tribute to the human spirit in man’s timeless quest for peace and freedom” Raised in a naval family in the Soviet Union, Alex Ayzin and his whole family defected to the West in 1979 and Winds of Freedom was as much a response to his upbringing in a highly repressive society as to the outward events which pushed him to bring it to life. To underestimate the pain and suffering borne in this act of creation is to do the creator a disservice, for it was pure and simply an act of love. Originally conceived as a full-length symphony, in the wake of the Chernobyl nuclear plant meltdown in Ayzin’s homeland, Ukraine, Winds of Freedom also became a response to world events as the Cold War went through its dramatic climax in the late 1980s. Debuted at Carnegie Hall in 1991, WOF was only recently transformed in to a moving multimedia event with video and still images highlighting an innovative classical score written by Russian composer, Emilian Sichkin. Winds of Freedom was the second symphony commissioned by Alex Ayzin, the first being Concerto for Astronauts as a tribute to those brave souls lost in the Challenger Space Shuttle explosion. Finding the hidden meaning in the creative process can be vexing, often proving difficult to fathom for years, decades or a lifetime, maybe it never happens. Vindication on taking the hard road can be bittersweet, like when Winston Churchill was proven all too right about Hitler, or beyond the scope, like how the iPhone changed the world far beyond what Steve Jobs ever imagined. Alex Ayzin, creator of the Winds of Freedom Symphony & Multimedia Presentations, is finding new meaning in the creative process as the peace movement around a project he has lived with for decades gains speed. Ilya Azyin, Alex Ayzin’s father, visiting wife Fenya and her mother, Lucy, in Odessa on the Black Sea. That new meaning comes from something lost in the welter of everyday life, something buried in the fight for recognition, something millions of people neglect in this busy work-a-day world: His own story, the family from where that story sprang along with their struggle for survival in a land with a complex and fascinating history, Russia. Out of everything in Soviet-Russia that Alex saw, felt, knew, revered, respected, loved, hated and escaped from is wrapped up in his motivation to commission, as a private citizen, two symphonies in an effort to change the world. The first symphony was Concerto for Astronauts, in the wake of Challenger disaster, and second was Winds of Freedom, commissioned after the Chernobyl meltdown in his homeland, Ukraine. Long after the WOF symphony was completed, Alex Ayzin decided to combine the WOF’s innovative musical score, which he had a hand in producing with Russian composer Emilian Sichkin, with stirring video and still images to create a media event that celebrates life, teaches history, inspires peace and hopes for a better future. As the WOF campaign began to unfold in summer 2017, a new PR team member realized how unique the Alex Ayzin Story was and the deeper he dug the more strikingly amazing it became. Informed by Ayzin that he wished to stay in the background, this team member, figuratively, broke a stick over his back in the effort to make him realize He was the story, people will want to know His motivation, where He came from, how His Story manifested itself in driving him to do something NO PRIVATE CITIZENS in our world do; Commission Symphonies to Change the World. 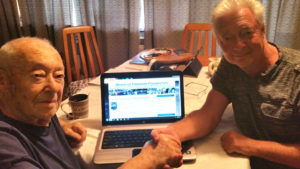 Alex and his father checking out new Winds of Freedom website. 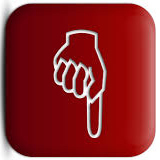 Alex Ayzin relented and it has changed the Winds of Freedom Story. 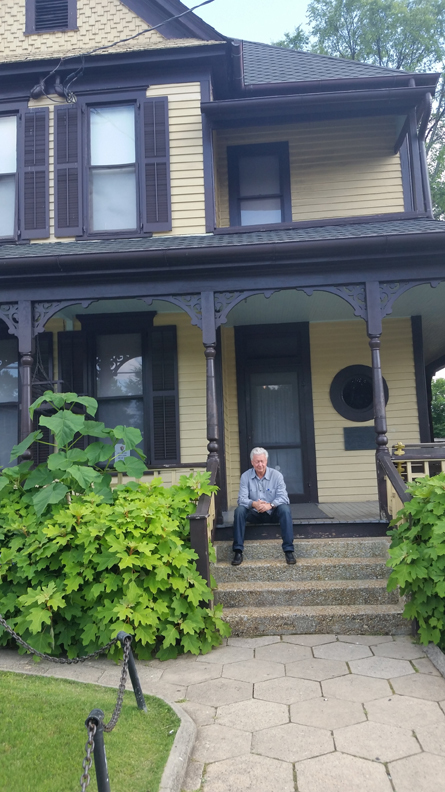 In early August, Alex went to visit his elderly parents with his brother. 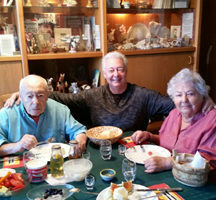 Viewing this new approach to a project they found difficult to fathom, his Father, a Soviet Naval Officer before they came West, and loving Mother began to understand more fully and here is the key realization that needs to be acknowledged. Alex Ayzin’s parents and grandparents are in the music; Alex Ayzin’s family going back generations are in the music; Alex Ayzin’s Russian homeland is in the music; Alex Ayzin’s upbringing, story of escape from the Soviet Union and finding new life in America are in the music. 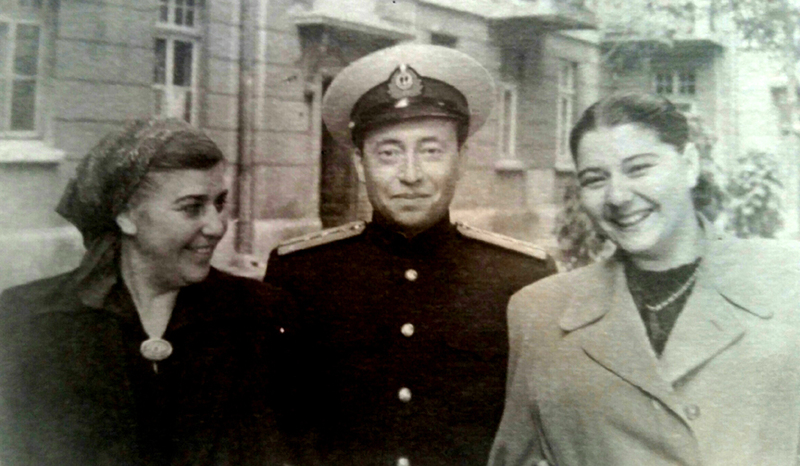 As much as Concerto for Astronauts and Winds of Freedom were gifts to the world, they were Alex Ayzin’s gifts to his Father and Mother. Here is where everything starts and stops. Now they know this in their hearts and for Alex it is like being ten-years old and finding a brand-new bike underneath the Christmas Tree, it means everything and more. Thanks Be To God! 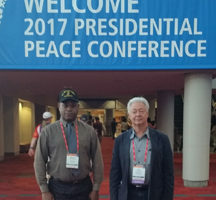 At the extreme last minute, on a trip sponsored by Mullen Technologies Electric Cars, Alex Ayzin, peace activist and creator of Winds of Freedom Symphony & Multi-Media Presentations, and Dennis Mathews, an African-America U.S. Marine disabled and former federal weapons contractor, attended the 2017 Rotary Presidential Peace Conference in Atlanta, June 9-10, at the Georgia World Congress Center. This unlikely pair, a Soviet defector from a third-generation naval family and a combat veteran Marine who is a high-tech inventor moving into VA Tele-Health Medicine, were on a mission to spread a message of peace and freedom by telling their stories, bringing attention to Ayzin’s Winds of Freedom and forming alliances with like-minded individuals and organizations. 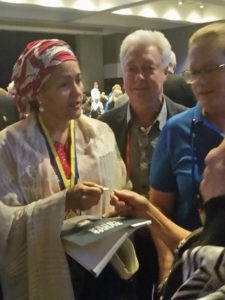 Amina J. Mohammed, UN Deputy Sec. Gen.
About 26,000 attendees were scheduled to attend the full Rotary International Convention, June 10-14, while the keynote speakers at the weekend 2017 Presidential Peace Conference were Dr. Bernice A. King, CEO of The Martin Luther King, Jr. Center for Nonviolent Social Change, and Amina J. Mohammed, the Deputy Secretary-General for the United Nations. Dennis Mathews, whose company live streams events all over the world, www.LiveStreamers.com, and Alex Ayzin met Dr. King while she was signing her father’s book, Where Do We Go From Here: Community or Chaos, and Amina Mohammed, executives from The Carter Center, a Hiroshima survivor and heard Bill Gates talk about his generous donations to eradicate polio around the world. One particularly fascinating speaker, Dr. Houda Abadi, Associate Director at Carter Center’s Conflict Resolution Program, laid out with detailed graphics how ISIS (Daesh) recruits young boys and girls, inducts them into the jihadist philosophy and then trains them in methods to inflict death and suffering on innocent men, women and children. She talked about the rise of ISIS (Daesh), its global impact, use of social media for recruitment and propaganda dissemination and measures for addressing radicalization and the response of Muslim communities in the West. Ayzin and Mathews met Abadi, a brave woman indeed, after her speech in their efforts to find working partners such as fine organizations like The Carter Center. During one session, when the discussion centered around military intervention to prevent human rights abuses, there was an open mic and Ayzin, with nudging from Mathews, got up and briefly told the story about his family’s escape from Soviet tyranny in 1979, the creation and existence of the Winds of Freedom Symphony & Multimedia Presentations in his effort to bring a message of peace and hope to the world. The crowd gave him a round of applause after hearing the story about his family defecting from the Soviet Union in their quest to live in freedom and peace. 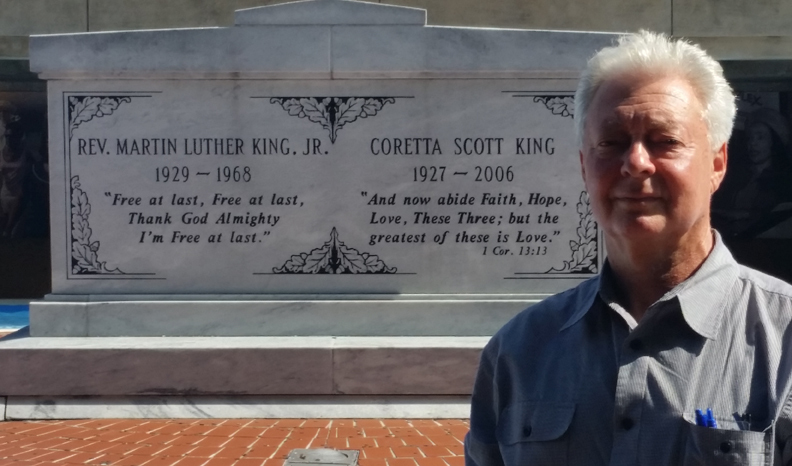 Alex Ayzin at final resting place of Martin Luther King, Jr. & Coretta Scott King. Alex Ayzin was particularly moved by the experience of visiting the King memorials and it gave him pause to think that their journey to Atlanta, fraught with last minute preparations, blown plane reservations and frustrating timetables, was a gift from God. Dennis Mathews pushed him hard to attend and, against his own feelings, Ayzin took the plunge and it was well worth all the hassle and experience everything involved. They met fascinating people, learned a lot and, most importantly, returned home inspired to keep fighting the good fight, just the U.S. Marines do everyday all around the world. 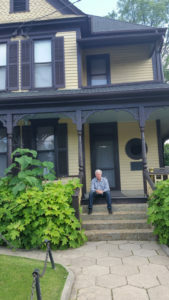 Alex Ayzin is seen here contemplating the legacy of Martin Luther King, Jr. at his boyhood home in Atlanta, which was burned down and then reconstructed as a monument to his struggle for civil rights, peace and nonviolent change. Alex Ayzin at MLK & Coretta King's resting place during Rotary Peace Conf...Read the Story. Malibu Surfside News article by Barbara Burke on Winds of Freedom Presentation at Malibu Rotary Club...Read the Story. To understand why Alex Ayzin created Concerto for Astronauts and Winds of Freedom, it is necessary to know his life story by reading Alex Ayzin: 1 Man, 2 Symphonies & A Mission of Peace & Freedom. Download the Sound Cloud App for mobile listening to the Winds of Freedom Symphony, Concerto for Astronauts or Alex Azyin's Radio Interview Podcasts.